The case against Peanut Corp. of America reads like a veggie version of Upton Sinclair's The Jungle. After a 2008 salmonella outbreak that sickened hundreds of people and may have killed eight, federal investigators traced the strain to peanuts processed at Peanut Corp.'s Blakely, Ga., plant. There the investigators found nightmarish conditions  mold lining the walls and ceilings, rodents and roaches running amok, and food supplies contaminated with waste. Worse still, the FDA found evidence that the company allowed products to ship even after internal testing discovered salmonella contamination. The result was a massive recall of the processed peanuts contained in everything from peanut butter to ice cream. The company, which denied the allegations, declared bankruptcy in the wake of the investigation. Federal criminal charges against the company were pending. 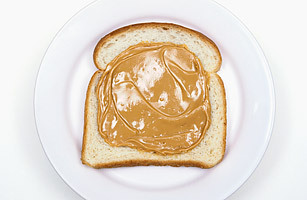 See "A Brief History of Peanut Butter."